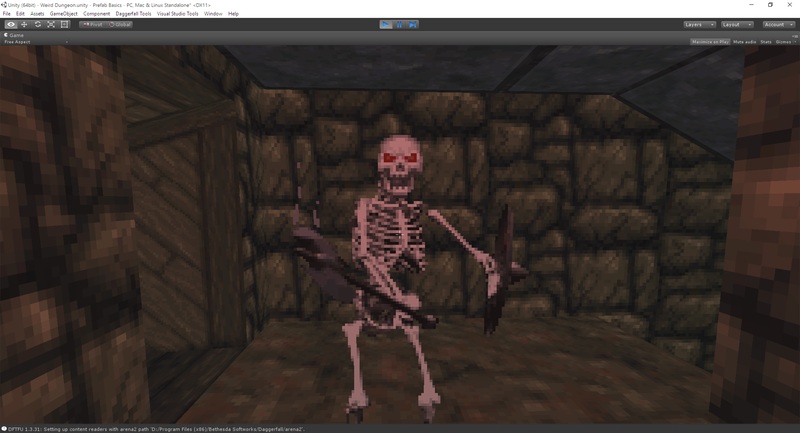 A summary of prefabs in Unity and how they are used in Daggerfall Tools for Unity. Changing behaviour of dungeon lights by creating a custom prefab. Creating a custom dungeon by instantiating a random block from a pre-made pool. Placing a custom enemy prefab into scene. If you haven’t downloaded the latest version of Daggerfall Tools for Unity yet, head over to the Download page and grab it now. This guy is waiting for you. Posted in Daggerfall Tools for Unity, Tutorials.